New logos for Heart Watch 2 company. Heart Watch 2 is a mobile laboratory that travels around to provide health screenings for clients. I am also in the process of making a simple website for Heart Watch 2. Visit heartwatch2.com to learn more information about the company. 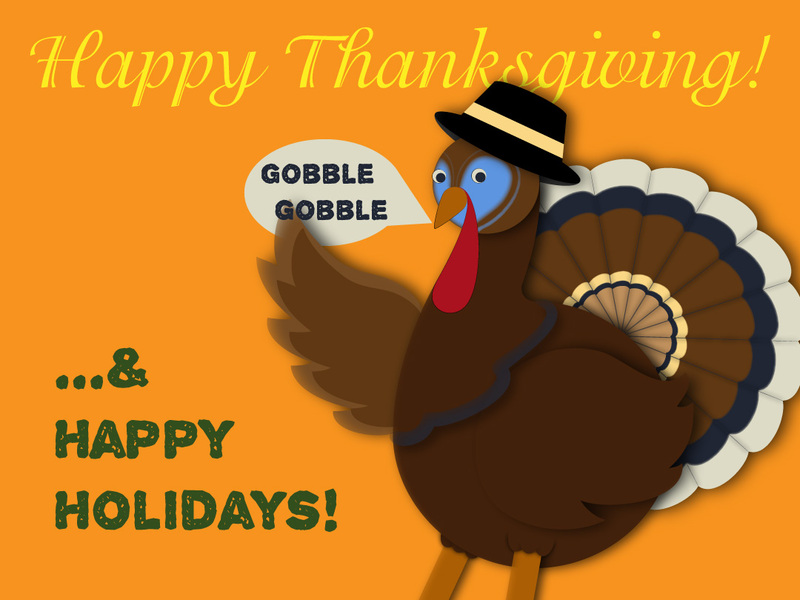 I hope you all have a wonderful Thanksgiving holiday. I am thankful to be alive and for having my loved ones by my side. Be thankful for what you have, but strive on to accomplish what you dream of having and stay positive! It’s been quite awhile since I’ve made illustrations. Like many people, Fall is my favorite season of the year; it’s even in my name but we’ll get to that later… There are so many things I like about Fall such as cooler weather, rain, cozy clothes, holidays, decorations, warm vibrant colors and especially the grand beauty of mother nature among other things. There’s so much elegance around the end of the year, I just love it! I’ve been wanting new art to hang on my wall, and I wanted something that represents my personality. Anyways, as I’ve said Fall/Autumn is my name, literally, so why not make an Autumn themed art? My Vietnamese name is Thu An, and as you can see in the piece above it translates to ‘Autumn Peace’. I love the night time because everything is more quiet and peaceful. Maybe it has something to do with my name, for I prefer to be in a peaceful environment than a busy and loud place. I find myself more relaxed when everything becomes quiet and less of a distraction at night. That is when I am able to think deeply and be more creative. I know I’m a bit late, but Happy New Year everybody!! 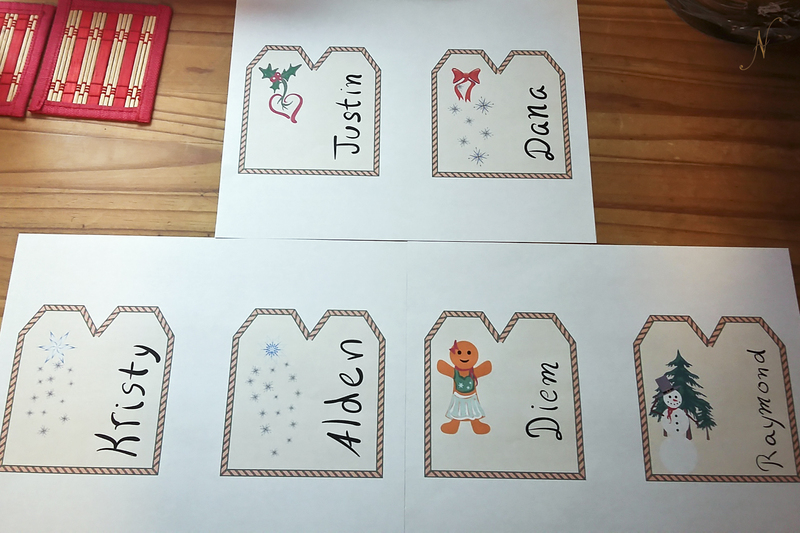 I just want to share with you some name tags I made last month for my Christmas presents to some of my family & friends. Here are the tags that I’ve designed and printed. The program I used to make them is Adobe CS5 Illustrator. 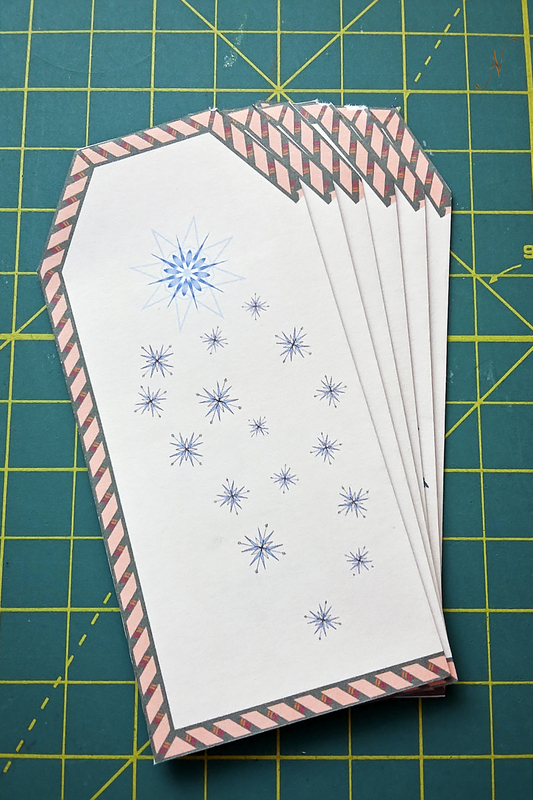 I’ve hand drawn some of the illustrations via a Wacom tablet, but some things such as the snowflakes, trees, and bow were symbol patterns that came with the program. I found it such a time saver, for I didn’t have too much time to draw everything myself. Therefore, I can’t take all the credit for everything. I’ve cut out all the tags and folded them. Just need to hole punch the top so I can string a ribbon through to hang onto the presents! I’m quite happy with how they turned out. This is a view of the back of one of the tags with the snowflakes. They’re all hole punched and ready to go! I’m a little bothered that the holes weren’t as centered as I intended them to be, but it’s not too bad. I hope you enjoy what I’ve made as I enjoyed making them, and that it inspired you to make your own name tags for whatever gift-giving occasion it is. I know x-mas is already over, but there are many other occasions to give presents; i.e. Valentine’s day is coming soon next month, and there’s always birthday gifts to give. 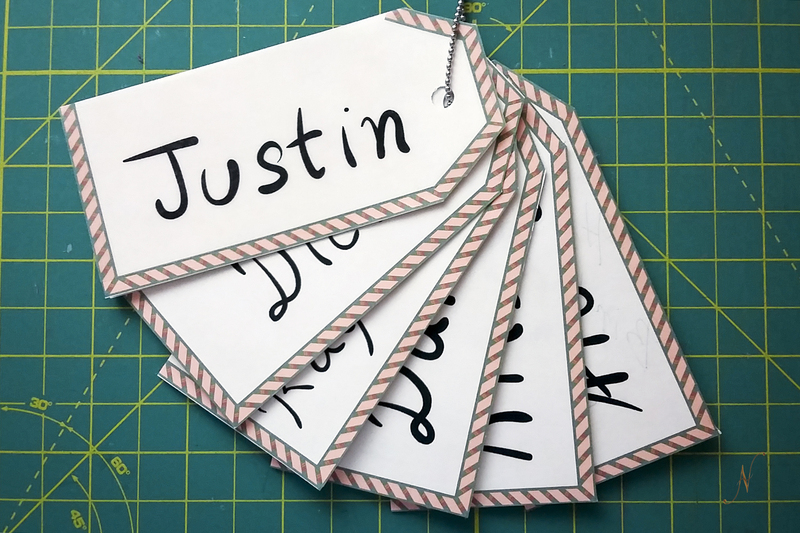 Why not add a nice touch to your gift wrapping with a fun custom name tag for the recipient? Spent my Halloween day finishing an illustration just for you! 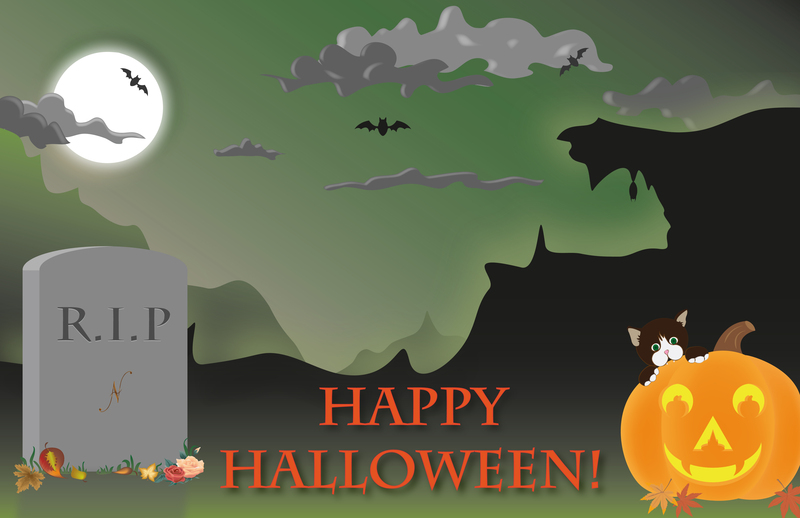 Hope everyone is enjoying their holiday filled with lots of spooky fun, and remember to stay safe. 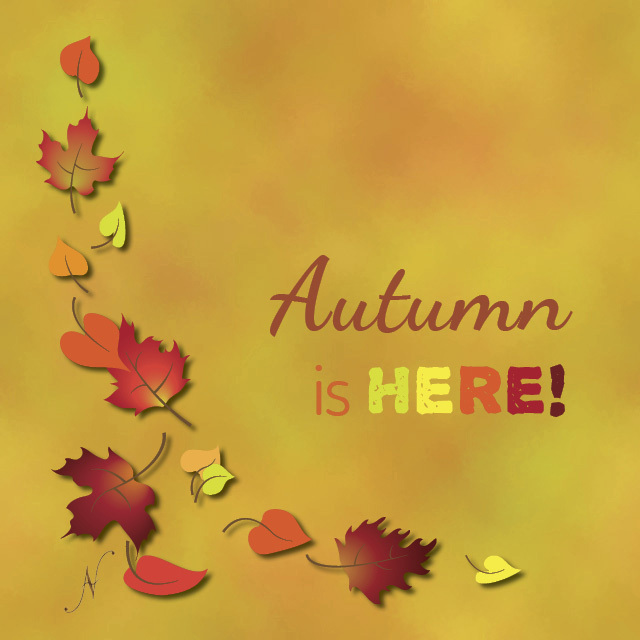 Today is the first day of fall! I am so excited because it is my favorite season of all. 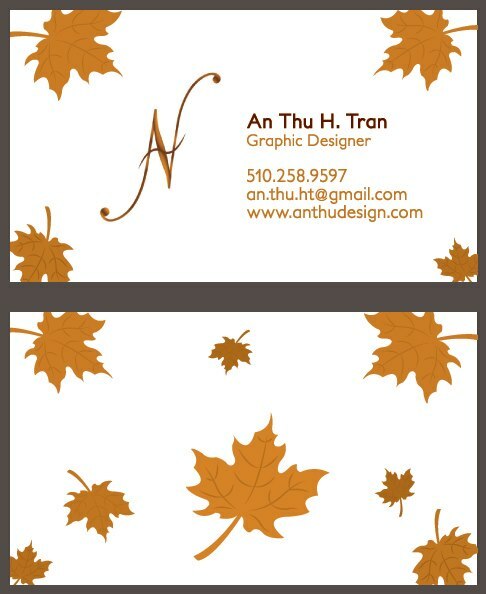 Here’s a little fun fact about myself, the ‘Thu’ in my name means ‘Fall’ in Vietnamese. 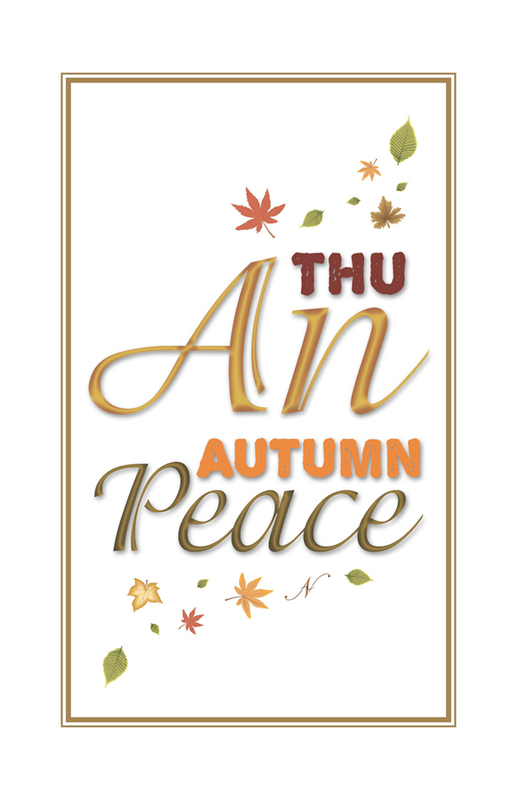 Additionally, the ‘An’ means ‘peace’, so my name literally means ‘Autumn Peace’. We all know that during the fall season one of the major things we notice most is the changing colors of the leaves. 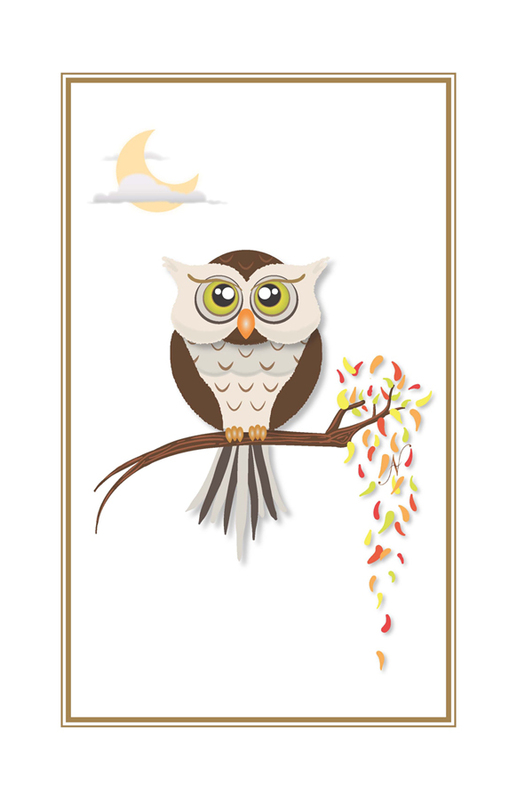 Therefore, I chose the Autumn leaves as a symbol for my identity brand. Hence why you see maple leaves as the background of this site and on my business card. There are so many things about this season that I love. One being the beautiful warm colors of the leaves. Other things to love about Fall are cool breezy weather that’s perfect for getting cozy and cuddle with someone or something you love, fall decoration, pumpkins, Halloween, Thanksgiving, holiday season in general, stylish layered clothing, and again beautiful nature scenery just to name a few. What do you like about this gorgeous season? I just love the rain. 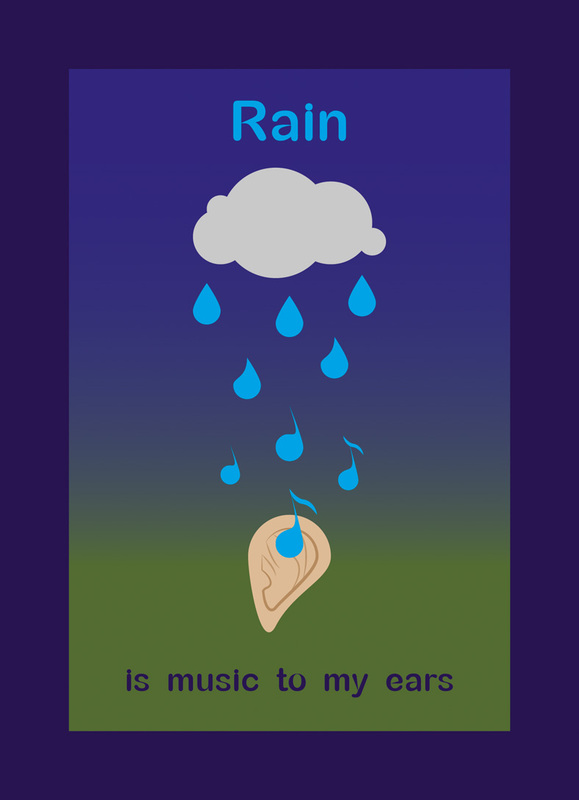 It is simply music to my ears.